Coonawarra is a famous wine region located on South Australia's Limestone Coast, an hour's drive east from the ocean. It was John Riddoch's love of horticulture that led him to set up a fruit farm on the terra rossa soils of Katnook, later renamed as Coonawarra, in 1897. Today, Cabernet Sauvignon is king, blended with Merlot matured in American oak, with the capacity to age for up to 10 years. Coonawarra is a famous wine region located on South Australia's Limestone Coast, an hour's drive (37 miles) east from the ocean. Populated by Scottish and Irish immigrants during the mid-19th century, it was John Riddoch's love of horticulture that led him to set up a fruit farm on the terra rossa soils of Katnook, later renamed as Coonawarra in 1897. 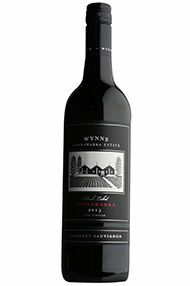 Although Riddoch managed to plant vines and make wine before his death in 1901, it wasn't until the 1950s that the Wynn family relaunched the Coonawarra name with the purchase of his winery. A trickle of corporate investment then followed (ie Mildara), before turning into a flood during the 1960s and 1970s. Now approximately 4,000 hectares, the controversial Coonawarra Geographical Indication zone encompasses prized terra rossa soils (free-draining red loam over limestone over an aquifer), as well as not-so-noble turf consisting of red, sandy, brown loam and poorly-drained black loam. A low-lying cool area with a Mediterranean climate, it has moderate, relative humidity (49 percent); at 59 metres, it has a similar altitude to the Médoc (47m), is drier and 10 percent cooler – probably due to the notable cloud-cover during the key months. Non-detail/hedge pruning shapes the vineyards, resulting in large canopies and relatively high-pH juice. Cabernet Sauvignon is king, blended with Merlot matured in American oak with the capacity to age for up to 10 years.